Affogato means 'to drown' in Italian. You'll often see Italians pour espresso over vanilla gelato. 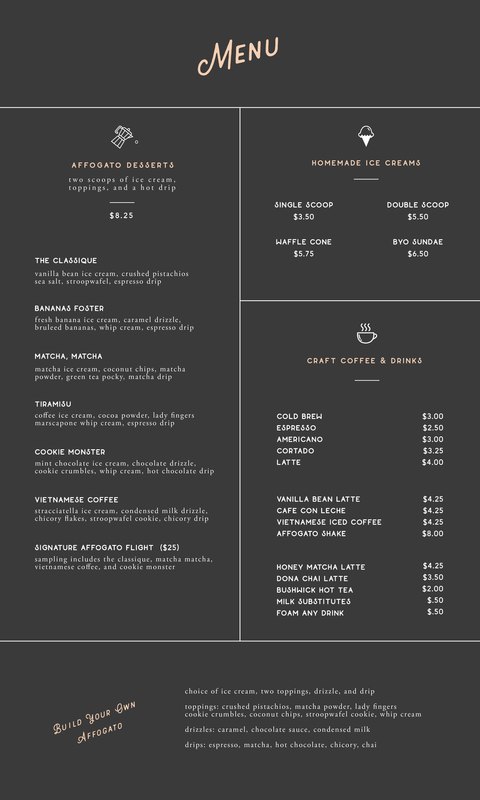 At Drip Affogato Bar, we're taking affogato to the next level by creating unique combinations using the finest ice cream and coffee. All Rights Reserved. Drip Affogato Bar®, LLC.